We design a collection of POMDPs and implement them on Nissan's fully operational autonomous vehicle prototype for urban intersection decision-making with vehicles and pedestrians. We build a hierarchical approach to safely transfer control between agents and humans with both application to semi-autonomous vehicle route planning and theoretical guarantees for a notion of provable saftey within the model. 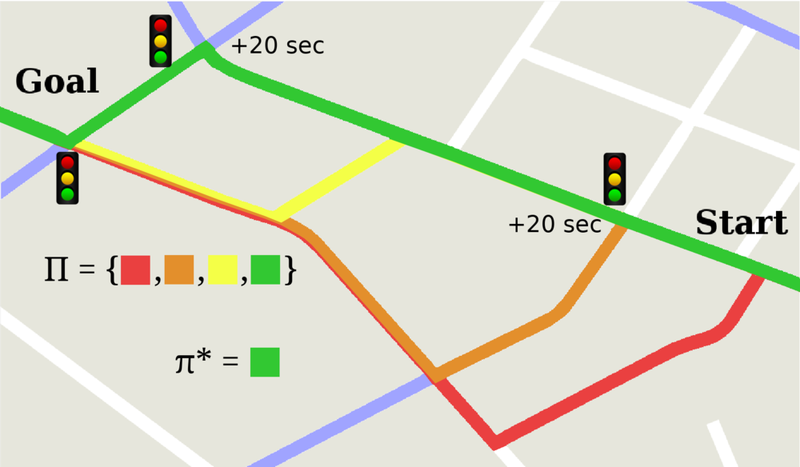 We solve rich real-world problems using multiple objectives in a natural manner by sequentially solving each objective and allowing for slack--allowable deviation from optimal--to be applied at each step, enabling us to solve complex multi-objective autonomous vehicle decision-making with a human-understandable meaning.